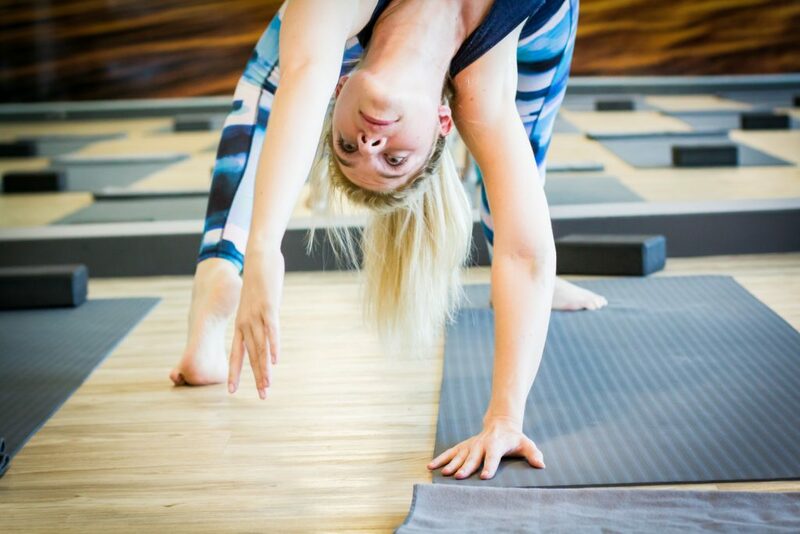 Amanda chatted to Tanya Shiels, from Cape Town, about her role of teaching yoga, pilates, and barre. She discusses a key factor for staying healthy – avoiding injury. A: Tell us a bit about you! T: I’m Tanya, I’m staying in Cape Town currently, although I often find myself travelling as much as possible. I teach pilates, body conditioning, barre, yoga…It’s been a combination of everything I’ve experienced in my life. Right now I’m focusing on barre classes and yoga and absolutely loving it. I completed my training in Ashtanga based vinyasa and synergy, and I’m really enjoying the experience of getting to know people through teaching. A: What made you decide to get into yoga? T: I’m originally a dancer, a ballerina. So because of that my body went through a lot of changes, and a lot of injuries. I injured the ligaments in my knees and got a double rotator cuff injury. I came to yoga many years ago as a way of rehabilitating and strengthening through those injuries. I stuck with it because it came to mean a lot more than just that to me. A: Ouch that injury must have hurt! It sounds like yoga helped you but you enjoyed it so much you decided to teach it. What did you enjoy or take away from yoga teacher training? T: Besides the massive amount of discipline that was required, I found there were a lot of benefits in completely immersing myself in the history and practices of yoga, and our teacher training focused a lot on teaching methods. I feel a lot more confident going into a class now knowing that should things happen, should things change, if someone should walk in with an injury, I’m very well equipped to know how to deal with that, how to help people, and how to help people enjoy themselves. I know there are a lot of different teachers’ trainings, they focus on a lot of different things. Mine was particularly helpful because it focused on alignment, injury prevention, injury rehabilitation, which is one of my interests. 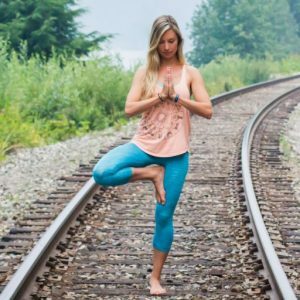 But either way, I would definitely recommend it to anyone who wants to immerse themselves in yoga, find out more about this thing that we call yoga. Even if you are planning on teaching or not, I think it would be an incredible idea. A: What is it that you like about yoga, pilates, and barre? T: Well I think experiencing all three of those disciplines, there are a lot of common themes that run through them, a lot of strengthening, toning, and flexibility. But each of them has a very distinct benefit to your body. Yoga is very much body and mind connection, creating that awareness of your body, how it moves, what’s good for it, and working within your own limits. I think very often in life and in other sports, you constantly push yourself, you’ve got to reach that perfection…but yoga is so beneficial to building into your own body, and what you feel capable of. I love pilates because it’s very focused. It’s very often small movements but very beneficial to a certain muscle group, and you can really feel the effects of it. You can focus on a certain muscle group whenever you want. Being a dancer at heart I love barre classes because they create those beautiful long, strong muscles. And ballet is a dream for so many little girls, and you always grow up thinking that ballerinas are beautiful, the grace and the poise that they have is something very special. And I think that being able to bring that into class for people, to be able to make it accessible is very important. And I think that’s why I love barre the most, I think. A: I love it too :). What is your style of teaching like? T: I’m very aware that people’s body’s are completely different, but the way I teach is to teach in a very safe, injury-free way, so I focus a lot on alignment. I think my students get tired with me going, “Is your knee in line with your ankle?” “Can you keep it in the midline with your body?” Because it could take just one slip and you injure your knee, or if you’re doing the same thing repetitively over a period of time it’s going to create a weakness. And so I focus a lot on that, on injury prevention, and on rehabilitation whenever possible. A: Could you show us one of your favourite stretches that you like to do, and explain how you avoid injury? T: Of course [gets into a runner’s lunge stretch]. So if you’re doing a runner’s lunge, which is an amazing hip opener, come into a low lunge first, tuck the toes to protect the back knee, you can keep the knee on the ground or raise it up. What I always ask people to do is as I said is check if their knee is inline with their ankle. So for the runner’s lunge you would bring both hands on the inside, wiggle the front foot out and forward. And instead of pushing the knee out to the side, which weakens the side, keep it in, pull it in to the midline of your body, and bend your elbows to bring your chest further down. That way you stay strong in that back leg, your body is nice and long, and you’re still getting a stretch into both hips and your hip flexors. And then to come out of it, equally as important, you bring your foot back in, bring your knee and ankle in line, hands on either side of the knee and step back. A: What is your favourite healthy snacks on the go? T: My favourite snack right now is dried goji berries. They’re absolutely incredible, very healthy for you, and they don’t have too much sugar in them, so that’s always a bonus. A: And what’s your morning ritual? T: My morning ritual is definitely coffee. A: Do you meditate? If so, what is your practice like? T: I do try to meditate. It’s unfortunately not a constant thing, it’s not an everyday thing. It’s something we did during our teacher’s training, and you really can see the benefits of it, once you learn to still your body, and ignore the fact that your feet might be going numb [smiles]. Focusing on breathing is…it really does focus the mind. So I try to do it every day, I won’t lie, I don’t always get it right, but I try to do at least 20 minutes a day, focusing on breathing, and being nice and still. But things like cats jumping on your lap, and phones ringing, and having to reply to emails, life is always going to get in the way of it. A: Do you count your breaths or do you just focus on breathing in and out? T: Personally, I just focus on the inhalations and exhalations. My mind is such that if I start counting I’ll get obsessed with counting. A: What is your take on Shavasana? T: I think Shavasana is very beneficial. You’re calming down your nervous system at the end of an hour or an hour and a half of exercise. You sort of reset your body, you almost equalize back into both sides of your body. As I said I think it’s very beneficial, and I think it’s important to start the class in a certain way, and to end class in a certain way, making you aware of your body, and creating that mind body connection. A: Thanks so much for all the cool insight Tanya, it was great chatting with you!